Get ready for The Buddy and Jim Show. 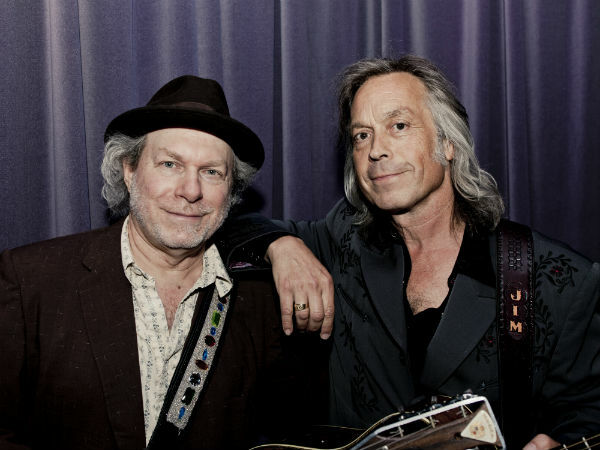 Kingpins of Americana Buddy Miller and Jim Lauderdale have announced that they will co-host a radio show on SiriusXM’s Outlaw Country. The new show, which can be found on channel 60, debuts August 4 at 10:00 pm ET. With in-depth interviews and musical performances from roots-friendly artists like Emmylou Harris, Richard Thompson and the North Mississippi Allstars, The Buddy & Jim Show will be broadcast from Miller’s home studio in Nashville. Miller is a celebrated guitarist, producer and songwriter, and a key member of Robert Plant’s Band Of Joy. He was named the Americana Music Association’s Artist of the Year in 2011. Grammy Award-winner Lauderdale is the host of Music City Roots, and the MC for the annual Americana Honors and Awards. His 2011 album Reason And Rhyme is a collaboration with Grateful Dead lyricist Robert Hunter. When it came to choosing their first guest, Miller and Lauderdale turned to their friend Lucinda Williams, who performs stripped-down covers of Bruce Springsteen’s “Factory” and Woody Guthrie’s “I Ain’t Got No Home.” Listen to a teaser of Williams’ appearance below.